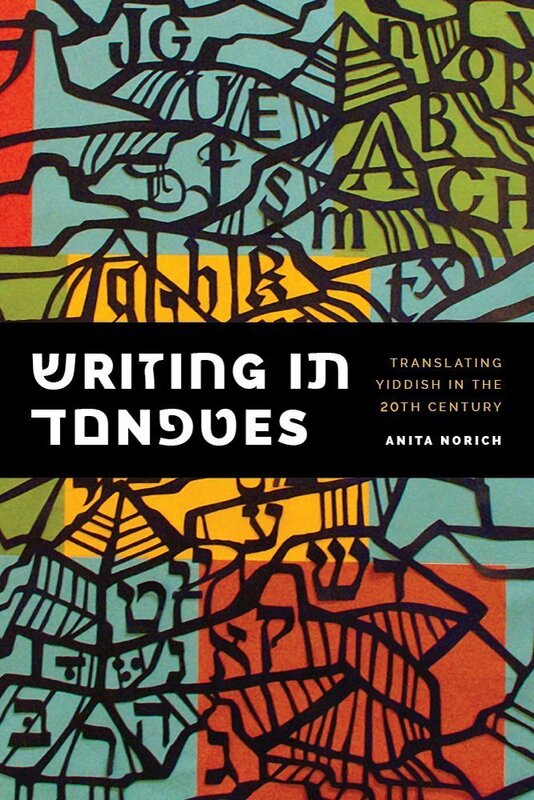 Anita Norich’s recent book on translating Yiddish. At the Annual Conference of the Association for Jewish Studies in December 2015, In geveb organized a roundtable discussion entitled, “Fartaytsht un farbesert? Translating Yiddish in the Twenty-First Century.” This essay is the final in a series of reflections by Yiddish translators and scholars inspired by that conversation. You can read the full series here. Fundamental to discussions of translation have been questions about fidelity and transgression. “Traduttore, traditore” (translator, traitor) goes the familiar Italian adage. Or, to cite a line perhaps closer to home, we read in the Talmud Rabbi Yehuda’s verdict that “one who translates a verse literally is a liar; one who adds to it is a blasphemer and a libeler.” 5 5 Talmud (B. Kiddushin, 49a) Add to this the history of Yiddish and Yiddish-speaking people in the twentieth century and translators are, indeed, faced with a daunting task. The fear is not only that we may lose culturally specific nuances (always a concern in translation from any language) but the history and culture of pre-Holocaust Askenazic Jewry. Perhaps we can change the questions a bit. The need for translation in Western culture, and among Jews, is commonly traced to the familiar Tower of Babel story, which is to say that it is traced to the human desire to understand and interpret and the hubris implied in that desire. Translation is, indeed, an act of hubris and a creative act and, primarily, an act of interpretation. That is precisely why certain texts are translated again and again as languages and contexts change. Instead of criticizing or questioning the translator’s ability or the translation’s fidelity, we might do better to question the translator’s interpretation and the extent to which it opens a text to variant interpretations. That is not to say that we cannot judge a translation, but that the judgment must first recognize the interpretive moves the translator has made. If she can’t translate idiomatic expressions, she cannot give us “an echo of the original.” If he doesn’t render into English the language register of the Yiddish, then Tevye may end up sounding like Lear, or Fishke like Fagin. Consider another salient issue: the problem of the pasekh, which may appear visually and aurally ambiguous. The pasekh is a diacritical mark often missing in printed texts and one which marks significant dialectal differences in Yiddish. To understand the significance of the pasekh we need only think about the difference between מײַן (mine) and מײן (meaning), גײסט (go) and גײַסט (spirit) and the intriguing interpretive ambiguities such confusions may and have produced. The hermeneutic challenges of Yiddish texts find their afterlife in such ambiguities, which we should embrace rather than lament. Another key question concerns what it means to be “true” to the text. Do we bring the text to the reader or the reader to the text? That is: is it the task of the translator to make the source text transparent to the reader, or does opacity—which makes the reader work harder—serve as a reminder that there is no such thing as a seamless translation and that cultures differ and their languages inevitably reflect those differences? Two hundred years ago, Friedrich Schleiermacher offered a famous bon mot that is at once funny, cogent, and right on the mark. He asked, “What objection can be made if a translator says to his reader: here I bring you the book as the man would have written it had he written in German; and the reader responds: I am just as obliged to you as if you had brought me the picture of a man the way he would look if his mother had conceived him by a different father?” 6 6 Friedrich Schleiermacher, “On the Different Methods of Translating,” In Translating Literature: The German Tradition from Luther to Rosenzweig, trans. and ed. by André Lefevere (Assen: Van Gorcum, 1977), 67–89. Retranslated by Susan Bernofsky, In The Translation Studies Reader. 2nd ed. Ed. by Lawrence Venuti (New York: Routledge, 2004), 43–63. In the middle of the twentieth century most translators of Yiddish were guided by a different aesthetic than the one Schleiermacher and others avowed. In those decades, translators tended to mute the critique—social, political, communal, religious—that had long been one of the hallmarks of Yiddish literature. English translations, for obvious reasons, were responding to and influenced by mass emigration, the loss of the Eastern European homeland, the creation of the State of Israel and, most profoundly, the Holocaust. Particularly in the U.S., as American Jews gained in security in the last third of the century and as American culture has embraced ethnic diversity (or fractiousness), there has been a clearer echo of the defiance, the tensions, and the grappling with Jewish thought and life that were evident in Yiddish texts. Yiddish is often considered to be a language more spoken about than spoken. But it is also a language that is increasingly being read and translated. Leo Wiener’s first translations of Yiddish into English in the 1890s have been followed by hundreds of translations (though certainly not enough of them), the majority appearing in recent decades, despite the ongoing lament about the decline of Yiddish. It is no exaggeration to say that, like other literatures, Yiddish literature underscores its ongoing significance not despite but rather because of and through those translations. George Steiner’s pronouncement that “translation into a world-language can make a general force of texts written in a local language” surely extends to Yiddish even though Yiddish cannot be confined to any locality. 7 7 George Steiner, After Babel: Aspects of Language and Translation (New York: Oxford University Press, 1975), p. 396. Rather than the model of loss and lack suggested by those who bemoan the necessity of translations from Yiddish, these more confident perspectives assert the value of translations not only for the target language (English) but also for its source (Yiddish), and insist that translation informs and transforms both. It is also worth noting that the particularities of Yiddish culture may, perhaps ironically, mitigate some of the problems faced by Yiddish translators. Every writer of Yiddish (and virtually every reader as well) has always been multilingual. Yiddish literature has always been permeable, open to other literary and cultural influences, in implicit or explicit dialogue with other languages and traditions. This multilingual cultural exchange may make Yiddish texts peculiarly adaptive to translation, despite popular notions about its untranslatability. At the same time, it invites translators who are themselves multilingual, who can hear the cadences of various Yiddish dialects and of the English, Polish, Russian, Hebrew or other languages in the Yiddish text. It is unlikely that translators will know all the languages and literatures with which Yiddish writers were once conversant, but we might best regard that as a challenge rather than an obstacle. Translation from Yiddish is possible and necessary and increasingly urgent. Walter Benjamin, “The Task of the Translator,” Trans. 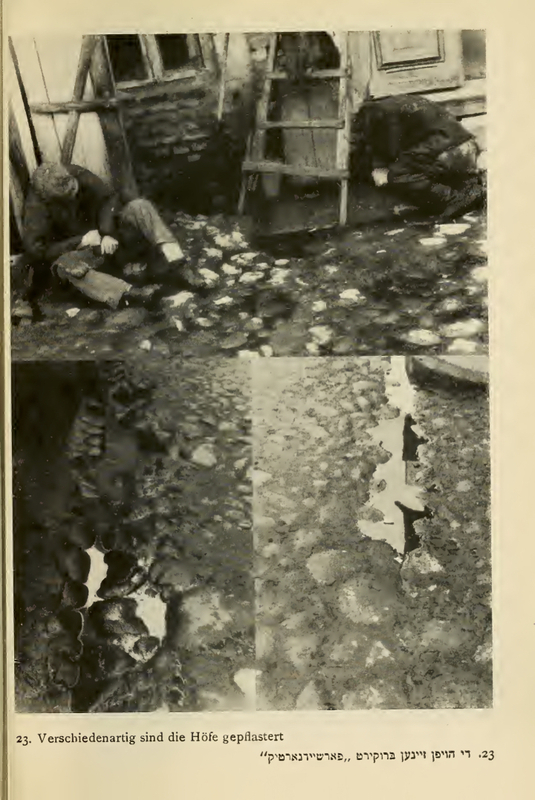 by James Hynd and E. M. Valk, Delos: A Journal on and of Translation 2 (1968), 76–99. Reprinted in Translation—Theory and Practice: A Historical Reader, ed. by Daniel Weissbort and Astradur Eysteinsson (Oxford: Oxford University Press, 2006), 297–309. Retranslated by Harry Zohn, in Illuminations, by Walter Benjamin, ed. by Hannah Arendt (New York: Harcourt, Brace and World, Inc., 1969) 69–82. Jacques, Derrida. Monolingualism of the Other. Trans. by Patrick Mensah (Stanford: Stanford University Press, 1998), 7. Emily Apter, The Translation Zone: A New Comparative Literature (Princeton, N.J.: Princeton University Press, 2006), xi–xii. Carol Jacobs, “The Monstrosity of Translation,” MLN 90, no. 6 (December 1975), 758. Friedrich Schleiermacher, “On the Different Methods of Translating,” In Translating Literature: The German Tradition from Luther to Rosenzweig, trans. and ed. by André Lefevere (Assen: Van Gorcum, 1977), 67–89. Retranslated by Susan Bernofsky, In The Translation Studies Reader. 2nd ed. Ed. by Lawrence Venuti (New York: Routledge, 2004), 43–63. George Steiner, After Babel: Aspects of Language and Translation (New York: Oxford University Press, 1975), p. 396. Norich , Anita . “Embracing Ambiguity: Reflections on Translating Yiddish.” In geveb, May 2016: https://ingeveb.org/blog/embracing-ambiguity. Norich , Anita . 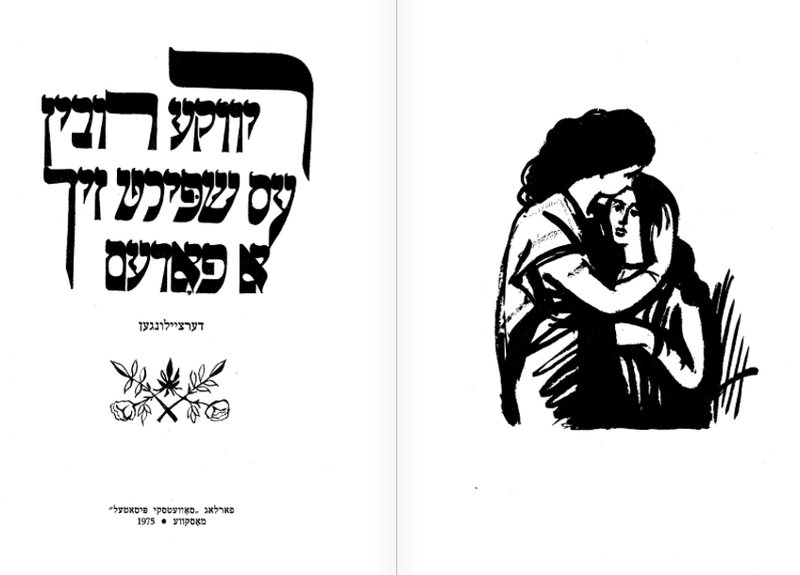 “Embracing Ambiguity: Reflections on Translating Yiddish.” In geveb (May 2016): Accessed Apr 20, 2019. 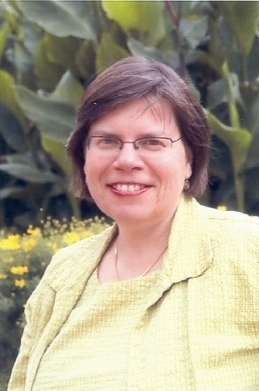 Anita Norich is the Tikva Frymer-Kensky Collegiate Professor of English and Judaic Studies at the University of Michigan. In geveb’s Managing Editor for Translations reflects on the need and possibilities for translating the archives of Yiddish culture, in addition to the greats of its literature.